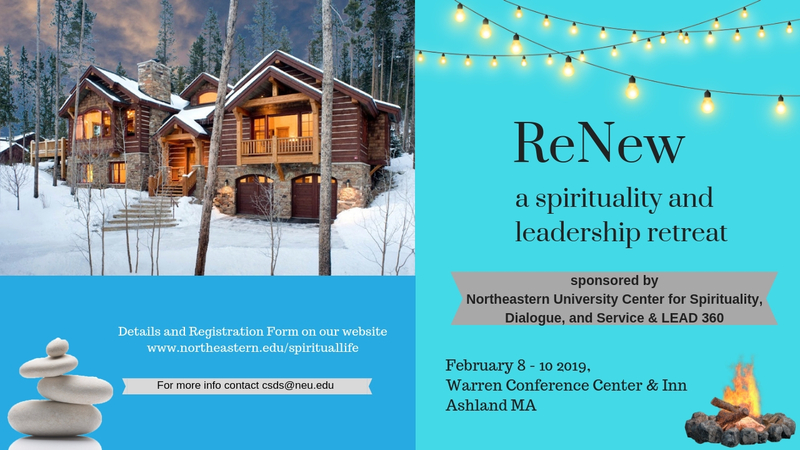 The ReNew Retreat is a weekend-long interfaith retreat for Northeastern students sponsored by the Center for Spirituality, Dialogue and Service and LEAD 360 to promote spiritual growth, leadership skills, and global citizenship. Through workshops and large group sessions, students are introduced to a variety of spiritual practices from various religious traditions. 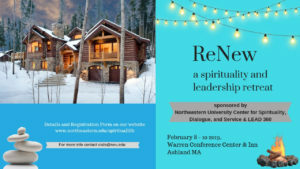 Bus leaves Northeastern University on Friday, February 8th at 6 PM. Bus returns to Northeastern University on Sunday, February 10th at 4 PM.